SETI's Seth Shostak took this picture of an Allen telescope using a four-minute exposure. Notice the Milky Way in the sky, Jupiter above the scope and the shadow of Shostak's legs below the telescope. In astronomer Chris Impey's office at the University of Arizona's Steward Observatory, the decor includes images of two icons: Pope John Paul II and ET. He can talk at length about either one. But at the moment, the subject is alien life, which Impey believes we'll discover before long. "There's a sense of excitement and inevitability about the detection of microbial life on other planets," he says. "We have techniques to get us to that point eventually." The discovery will be seismic for scientists. The rest of us will nod in mild interest as we stroll past the "Breaking News" tag on the TV screen. Microbial life? It's just not a day-stopper. But intelligent life, advanced entities, a new civilization on another planet—now that's the Holy Grail for those who like to look up at the heavens. The topic is not the exclusive province of pop-culture schlock merchants. Advances in science accomplished at—excuse the term—Spock speed have made it increasingly reasonable, even commonplace, to think we're probably not alone. Even the hidebound Catholic Church says so. In November, the Vatican hosted a conference on astrobiology—the science of life's origins—and the takeaway headline was all about our "extraterrestrial brothers." The head of the prestigious Vatican Observatory, which has a branch in Tucson, said the existence of other beings in the cosmos "deserves serious consideration." The prospect is thrilling, and the questions endless. Who are these supposed beings? Will they be friendly? Hostile? How will finding them change us? If one California astronomer is correct, we should begin considering those questions right now—because contact is coming soon. He cites a simple computer formula to explain why he believes this is so. Meanwhile, others speculate about what these beings might look like. Most scientists, though, speak of the issue with more caution, saying it's unknown whether we'll ever discover intelligent life. But they'll play along to a point, edging warily out onto the theoretical branch to test its weight. They do so by talking about the timing argument, which raises this question: How likely is it that we're the first in the galaxy to become space-faring, to travel or communicate beyond their planet? The timing argument says it's highly unlikely we're the first. It has taken four billion years for complex life to evolve on Earth. But the universe is many times older than that. So there had to be Earth-like planets in place, with the possibility of intelligent life on them, billions of years before Earth even formed. This means we're probably not the first civilization to reach the stage of development we have now. And if there are other civilizations, they're likely far more advanced than us, says George Coyne, a Jesuit priest and former head of the Vatican Observatory here. Why? Because life is so dynamic. "When I was a teenager, there was no TV," says Coyne. "Now you carry TV in your pocket. At one time, the only way to communicate was by smoke signals. Now you pick up your cell phone and communicate around the world." Life on Earth has made miraculous advances in a cosmic blink. Take another planet, and add billions of years development time—and how smart might its inhabitants be? Can we speculate about what these hyper-advanced creatures might be like? Coyne won't go there. It's too far out on the branch. His favorite word is "hypothetical," and he tosses it out repeatedly until, sensing where I'm going, he has a meeting to run to. "Call back? Yes, any time. Uh-huh. Bye, now." Impey is more daring, taking on all topics in a wide-raging interview in his office. But first, to clarify the mention of those two icons: Impey met John Paul during a teaching stint in Rome in 1995, and a photo commemorating their handshake hangs above the professor's desk. As for ET, he's lurking in the form of a plastic figure that glows in the dark, and as a character in a painting on Impey's wall. But he's there purely for fun. Impey is every bit a skeptical scientist, restrained by the hard data science demands. I ask if he believes the timing argument. He says yes, it's likely. Then hedges: "In a statistical sense." "Put aide statistics," I say. "Tell me what your gut says?" "My gut doesn't tell me anything. We have a sample of one. No argument is robust when you have a sample of one." "Come on, your gut has to tell you something." "OK." Impey pauses, inching back from the theoretical branch toward the tree trunk. "My gut tells me what Arthur C. Clarke said, that any advanced civilization is indistinguishable from magic. And my version of that is that they could be unrecognizable, and almost certainly un-communicable." Which doesn't get any closer to the questions I really want to ask: Do these brothers of ours dance? Do they love? Do they have ketchup and the designated hitter? "The whole discussion is so hideously, grotesquely anthropocentric, I assume it's not right," says Impey. "It's nothing but self-image. It's looking into a mirror. The best we can come up with is aliens with bad skin defects like on Star Trek. "It's fun to talk about, but it's not real." When it comes to extraterrestrials and UFOs, though, reality is entirely up for grabs. Belief is reality, and a third of Americans believe the aliens are already here. The sky over our pop culture teems with flying saucers commanded by oval-eyed creatures looking for a corn field in which to land, and a farmer's organs to harvest. But none of that comes close to science, which is about evidence, and thus far, no one has produced any to prove the existence of UFOs or the life forms piloting them. So at every new report of a UFO sighting, scientists hold up their Ph.D.s like a cross to the devil. 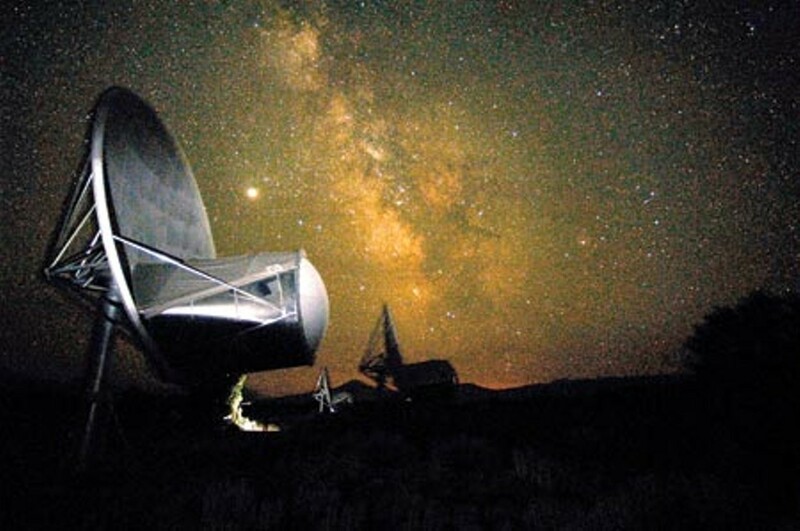 "The extraterrestrial-intelligence explanation is always the most remote, always the most difficult to put on these sightings," says astronomer Chris Corbally, a Jesuit and vice director of the Vatican Observatory in Tucson. "There might be a psychological interpretation, or a physical one for lights in the sky that seem to dash off. These closer explanations need to be explored first." In Great Britain, the hullabaloo over UFOs prompted a recent investigation by the Ministry of Defense. It found the vast majority were caused by—drum roll, please—Chinese lanterns. When released by partying Earthlings, "they float for miles, often in groups, radiate light, then suddenly disappear when the candle burns out," according to London's The Daily Telegraph. Not surprisingly, many sightings occur near military bases. Blame Venus for many more. Most people are ignorant of the night sky, unaware that Venus, one of the brightest planets, is visible even when the sun is up or low on the horizon, which creates an atmospheric effect that mimics movement. People spot this shining object and see it "move," which they know a star cannot do and a planet cannot do, and the game is on—they grab their cell phones to report a spaceship streaking across the sky. So much of UFO mania is psychology. Historically, says Impey, sightings have been anything but random. Rather, they spike after big events in space exploration—Sputnik, the first Apollo moon mission, the Mariner missions to Mars—which means we see what's on our minds. And a worldwide map of UFO sightings shows the vast majority take place in United States and Europe. Almost none occur in Asia or Africa. Hmmm. Why are the aliens only visiting technologically advanced cultures? Forget Roswell, the infamous space crash in 1947, which believers say resulted in an alien corpse. Roswell wasn't the start of our fascination with UFOs. The first UFOs were spotted back in the 19th century, after writers like Jules Verne and H.G. Wells created modern science fiction. What did people see in those times? They saw the most advanced technology then available: They saw galleons sailing across the sky. "Those historical and geographic factors are the sum of why I consign UFOs to a category I'm not interested in," says Impey. "Most of my colleagues are intolerant of them as well. It's just a froth of misinformation and wishful thinking." Even SETI, which has been listening for aliens since its founding in 1984, doesn't deal with UFOs. But isn't it possible—remotely, way-out-there-possible—that one day, we'll gather at our TVs to watch a lemon-headed invader behind a bank of microphones answering questions about his journeys here, and what he did with that poor farmer's liver? Caution is good, because "possible" excludes almost nothing. Then again, the past teaches that almost anything is possible. In my interview with Corbally, he made the startling remark that discovering extraterrestrial intelligence wouldn't be much of a surprise. "The idea has been in the human family for thousands of years, ever since we were in caves looking out the stars," he says. "So I don't think there'd be much surprise at an encounter. Huge curiosity about what this creature is like, yes, but no great surprise." "Do you realize," I say, "you could've been burned at the stake for saying that 400 years ago?" Corbally knows immediately what I'm talking about. With a lilt of mischief in his British-accented voice, he says, "Ah, poor Giordano. His big mistake was coming back to Italy. He was much better off in Protestant England, where he was at least tolerated, although he was felt to be a little crazy." He's speaking of Giordano Bruno, a Dominican mystic who, in addition to denying Christ's divinity, believed many Earths existed, and living beings inhabited them. The Catholic Church didn't care for either viewpoint, especially the former, and sentenced him to die. In 1600, Bruno was taken to what is now Campo de' Fiori square in Rome, where his tongue was nailed to his jaw to keep him from speaking any more heresy. Then, in what was considered an act of mercy, guards tied a gunpowder sack around his head to hasten death, and poor Giordano was burned at the stake, his ashes dumped in the Tiber River. Doesn't such an event force caution when defining what's "possible?" More famously, the same Inquisition-addled Church, in 1633, convicted Galileo of heresy for teaching—without acknowledging it was only a hypothesis at the time—that the Earth revolved around the sun, which it most definitely does. The Vatican couldn't bring itself to fully rehabilitate Galileo, until Pope John Paul II did so in 1992, capping a multi-century pride bender. Corbally says scientists, in fact, needed 200 more years to actually prove the Earth was moving. But he also acknowledges the Church elevated tradition over inquiry. "The Earth being fixed, the Aristotelian view of the cosmos, was the more obvious one to go with, especially when one's theology depends on Aristotelian philosophy," Corbally says, pausing to allow the mischief to return. "And when one's theology is under attack from those wretched Protestants, you naturally retrench and say, 'We're not on the lookout for every new thing.' Shaking off your philosophy and theology is not a comfortable thing to do." As technology expands, so should our humility. On the subject of microbial life, technology has changed everyone's thinking in only 15 years. In 1995, scientists knew of no extra-solar planets, defined as planets that revolve around stars other than the Earth's sun. Since then, some 400 have been discovered. The thrust now is to find a planet in the habitable zone, meaning at that range of distance from its star where water neither freezes nor boils. Scientists believe liquid water on a planet's surface, as on Earth, is a potential indicator of life. No such planet has been located. But scientists believe they'll find one soon. At that point, they'll conduct space missions, or use super-powerful telescopes, to search its atmosphere for so-called biomarkers, oxygen, ozone, possibly even chlorophyll or some obvious tracer of photosynthesis. "We've learned there are planets everywhere," says Impey, "and there's carbon everywhere in the universe, too, along with other elements for life. With astronomical data we now have, it's essentially certain to say we'll find lots of habitable locations." Life! Life! It's everywhere! Even on Earth, scientists have discovered life in highly unexpected locations—in a South African mine that gives off radioactive energy in complete darkness; in Arctic ice; in the stratosphere; in deep-sea ocean vents with heat as the only energy source. The lesson of our discoveries, recent or centuries ago, is that we're not special, says SETI's Shostak, who published a book last year provocatively titled Confessions of an Alien Hunter: A Scientist's Search for Extraterrestrial Intelligence. And thinking we're the only intelligent beings in a galaxy of a trillion planets—another discovery made in the past dozen years—makes us feel important. "The historical record is clear," says Shostak. "Every single time we thought there was something really special about us and our circumstances, we were wrong. Astronomers have learned this lesson, and I think the Catholic Church has, too." The obvious example is Copernicus, who, in 1530, led the way in proving the Earth was not the center of our universe, overturning 1,500 years of accepted wisdom. Galileo was part of the so-called Copernican Revolution. A more recent example: In 1900, scientists thought there was one galaxy in the universe, and we were in the middle of it. We now know neither is true. 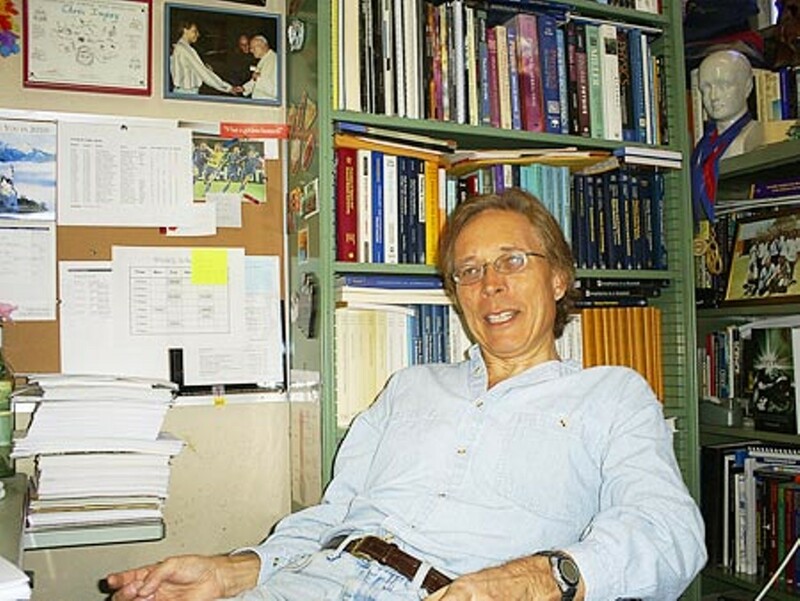 "You could say biology is different, and we're special there," says Shostak. "We're the only planet with life, the only planet with intelligent life. You can say that, and maybe it's true. We don't have data to disprove that yet. "But it does raise my eyebrows, at least, because it sounds very much like the arguments that were made not so far back." If they're out there, why haven't we heard anything? They don't call. They don't write. Not even a radio signal. Well, maybe there was one radio signal. Back in 1977, Ohio State University's Big Ear Radio Observatory used a radio telescope to scan a segment of the sky every night for alien signals. On the morning of Aug. 15, astronomer Jerry Ehman came to work and checked a computer printout to see results from the previous night. What he found was a signal so strange and so strong, it made his eyes pop. In the margin of the printout, he wrote one word: "Wow!" Was it some unidentified interference, or was ET trying to reach us? Some believe the latter, saying the signal had extraterrestrial characteristics. Since then, scientists have tried to find the signal again. 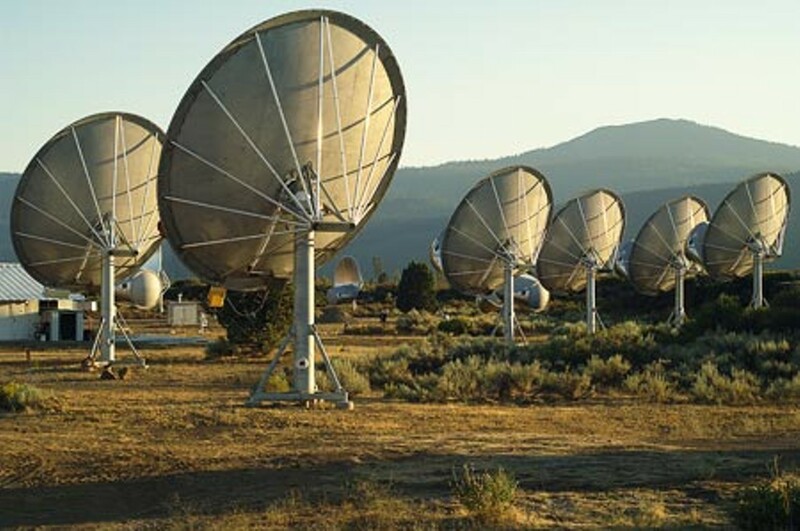 The SETI Institute might try to relocate "Wow!" sometime this year. But the signal was only heard that one time, and when the same patch of sky was scanned 70 seconds later, it was gone. "Whether it was ET or not, we can't say, because the signal couldn't be verified," says Shostak. "But it's become a triumph of marketing because of the name." Since then, the "Wow!" signal has been a bonanza for alien theorists, Internet scribblers and even the TV show The X-Files, which worked the event into a scene. 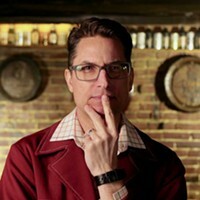 On the signal's 30th anniversary, Ehman himself wrote a retrospective analysis, declining to draw any firm conclusions. But Ehman told MSNBC the possibility still exists "it was a signal from an extraterrestrial civilization." Astronomer Frank Drake, now board chairman of the SETI Institute, conducted the first search for alien radio signals in 1960. SETI has been doing the same for 26 years, most recently with its $35 million Allen Telescope Array, named for major contributor Paul Allen, Microsoft's cofounder. Other than the mysterious "Wow!" signal, what have we gained from all these years of listening for aliens? Bupkis. It's called the 50-year silence. How do we interpret nothing? Evolutionary biologist Simon Conway Morris of Cambridge University said he's beginning to doubt anybody is out there at all. "It is about time they turned up," he told The Daily Telegraph in January. "It is very, very quiet out there. Suspiciously quiet. Where on Earth are they?" In his new book, The Eerie Silence: Reviewing Our Search for Alien Intelligence, Arizona State University physicist Paul Davies wrote that if the silence means we are indeed alone, it might be because the steps leading to intelligent life are so unlikely, they've happened only once. This mirrors British astronomer Fred Hoyle's famous remark—now widely dismissed—that the possibility of simple chemical components evolving into complex life forms is as likely as a tornado going through a junkyard and fully assembling a 747. Davies offers a second, darker explanation for the silence: Intelligent life and technological civilizations are inherently unstable. They don't survive long enough to contact each other, due to nuclear war, pandemics and other disasters. "If that is the correct explanation, then it is bad news for humanity," writes Davies in The Eerie Silence. "It implies that, if Earth is typical, we can expect to go the same way as the aliens, following our cosmic cousins into oblivion fairly soon." Shostak discusses the silence from the aliens' perspective, saying maybe they aren't using radio. Or it takes more power than we have to detect their radio signals. "They might assume we didn't invent radio (a mere) 100 years ago," says Shostak. "Think about it. (Radio pioneer Guglielmo) Marconi was 100 years ago in a 13 billion-year-old universe. The aliens might assume we're 10,000 years into the invention of the radio, like we are the wheel." But Shostak's main explanation for the silence is that we've only carefully looked at about 750 star systems—in a galaxy of 300 to 400 billion stars. "It's too soon to say this is the great silence," he says. "That would be like landing in the west coast of Africa to hunt for mega-fauna, looking at one city block of real estate, not seeing any elephants and concluding, 'Well, this continent is elephant-free.'" 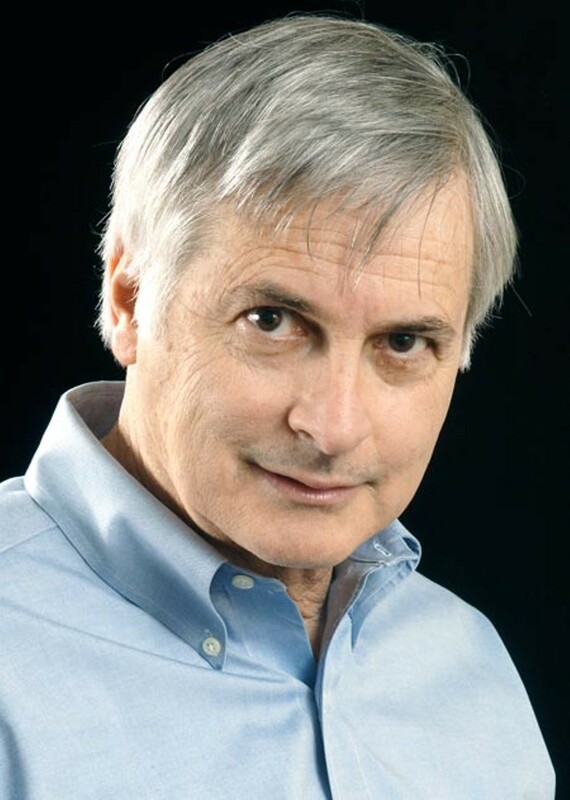 To support his prediction of contact within 24 years, Shostak cites something called Moore's Law, which says computer power doubles every two years or so. Based on this, within 24 years, SETI's telescopes will have increased the number of star systems they've examined to more than one million. "I think a million is the right number," Shostak says. "If you look at a million systems, you have a good chance of finding something." But what? What might our brainy extraterrestrial brothers look like? To answer that, all we can do is stand here on Earth and look into Impey's mirror. Would our brother have, say, eyes? 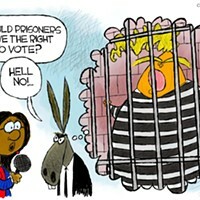 Yes, he probably would. Eyes have been developed by several species that are not closely related, suggesting they're so useful that a species will cook them up sooner or later. Not a hundred eyes, because it wouldn't need them. But at least one or two, possibly three. Stereo vision is good for survival. Would our friend be larger than a mouse? Almost certainly. How can he be very intelligent if he has so few brain neurons? But if our friend is too big, he's also slow afoot, and intelligence would be unnecessary for survival, because he'd be invulnerable. Recently, Simon Conway Morris was quoted as saying he can't imagine "evolution in alien planets operating in any manner other than Darwinian"—meaning any life out there should look similar to us, with two legs to walk around on, a head and a body. Others reject that conclusion, asking: Why, when we go to the zoo, do we see so few critters like us? On it goes. It's a fun exercise, but wildly limited because it's humans doing it. If Copernicus demonstrated anything, it's our insignificance. Now imagine the insignificance multiplier if we learn we're not alone. Columbus discovering America—which radically changed the world, dropping Europe from the center of things—would look puny by comparison. "The possibilities we're finding now are so enormous," says Corbally. "The more we look into the universe, the more it surprises us." But science is limited, too. It can't explain the biggest things or the best things. In the 1997 movie Contact, Jodie Foster plays a SETI astronomer named Ellie Arroway. She responds skeptically to a friend's belief in God, asking, "Unless I have proof, how can I be sure?" Arroway lost her father at age 9. The friend asks, "Did you love him?" "Yes," Arroway says softly. "Very much." "Prove it," the friend responds. Of course, she can't. Love can't be touched or seen or studied through a telescope. But it's humanity's most important chemical, as real as any planet, as bright as any star.